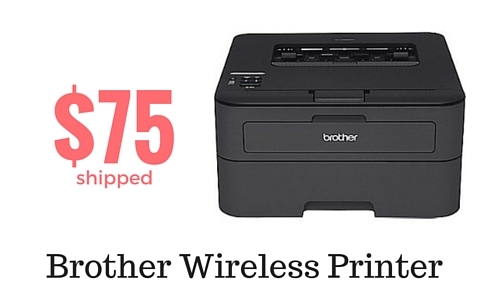 Home > back to school > Brother Wireless Laser Printer $75 Shipped! Yesterday I shared a great deal on my favorite Brother Laser printer (get it for $45 right now). I know many folks prefer wireless printers though, so guess what… today we have a great deal on the big brother of my favorite printer! Get the HL-L2360 Brother Wireless Laser printer for $75 after a new Staples coupon code and a sale this week! That’s a good $15 cheaper than we ever see, even on Black Friday! When you go to checkout, select to pay with Visa Checkout. You’ll get $25 off any $100 order. After the coupon code you’ll pay $75.24 for a printer that is normally $139! This sale is good through Saturday, however the $25 off coupon is only for a limited time.